Forward or defenceman? 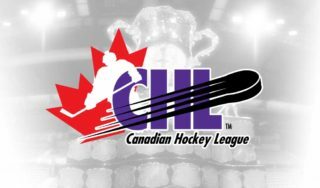 The Chicoutimi Sagueneens hold the first pick in this year’s QMJHL Draft and are facing an interesting dilemma. Should they go for option A), Hendrix Lapierre, the top prospect on the board will likely be the first player to walk onto the stage at the Centre Gervais Auto in Shawinigan on Saturday and you won’t hear Lapierre complain about that. “I expected to be ranked pretty high, but maybe not No. 1. There are excellent players available this year. William Villeneuve and Patrick Guay had incredible playoffs. I still believe anything can happen,” says the product of the Gatineau Intrepide. The possibility of being selected first overall brings some obvious emotion. That feeling only escalates when you may be slipping on the jersey of your hometown team to boot. “My entire family lives in either Jonquière or Chicoutimi. My mom was born there. Only my dad comes from the Outaouais region. I’ve always excelled under pressure. It would only serve as additional motivation for me to play in the Saguenay region. I could also count on them to be there for almost all my games,” smiled Lapierre. 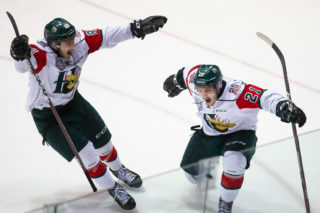 According to the Director of QMJHL Central Scouting Carl Bouchard, Lapierre is the best playmaker in this year’s draft. “He is a very good skater and has excellent hockey sense. He’s the type of player who makes those around him better. He never slows down, even when he’s breaking into the zone. He’s a real competitor. There is no doubt he will have an offensive impact throughout this career,” explains Bouchard, who also adds that another of Lapierre’s strengths lies in his ability to protect the puck. 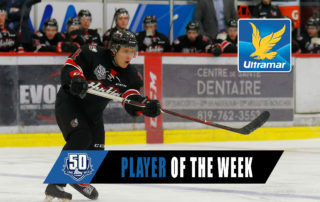 Lapierre had an explosive season with the Intrepide, notching 57 points in only 35 games. A creator out on the ice, he always looks to share the puck as his 40 assists can attest. Pressure appears to have little effect on the 5-foot-11, 161-pounder. With the eyes of the scouting world on him at the recent Gatorade Challenge, he calmly posted nine points in five games. “Hendrix sees things on the ice other players simply do not. He has the ability to find space and make a pass that catches everyone by surprise. He knows how to shake opponents and make room for himself. He is spectacular and able to control the play which is a strength of all great players. Hendrix still has a few things to work on but I don’t expect to see him back in Midget AAA. 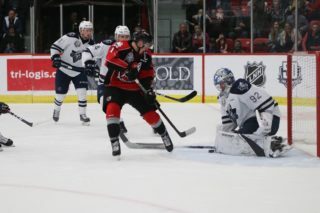 That decision will be up to his new team, but major junior teams are often patient with this type of young player,” says Gatineau Intrepide head coach Martin Lafleur. 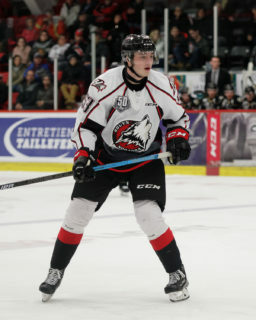 At the 2016 QMJHL Draft, Intrepides’ forward Benoît-Olivier Groulx was chosen first overall by the Halifax Mooseheads. If things unfold as expected, Lapierre would become the second Intrepides player to go first in three years.